From April to the end of July, the facility at Princes Dock has already welcomed 57,990 international passengers and crew – with 12 more weeks of visits still to come! So far this year the terminal has had 15 turnaround calls and 20 day visits, generating a £4m boost to the tourism economy, with highlights such as Cunard’s Queen Elizabeth visiting on the 80th anniversary of the second Mauritania leaving Camell Laird’s. The record breaking season caps a remarkable 10 years for Liverpool’s Cruise Terminal, which is on course to have welcomed over 400 ships, 600,000 visitors and brought around £60m to the local economy by the end of 2018. And there’s still so much more to come with the arrival of Berlin (on Saturday, 11 August), Aida Aura, Seabourn Ovation and Ocean Dream who are all making their Mersey debut in coming days and weeks. Buoys and gulls, the party doesn’t end here! 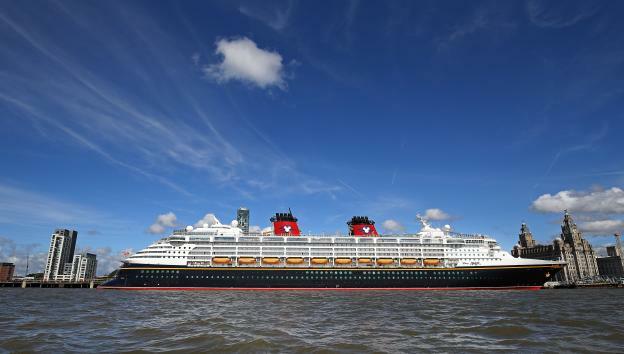 In the wake of this amazing summer the city is set to welcome back Disney ‘Magic on the Mersey’ on Friday, 7 September. Cruise Liverpool are encouraging everybody to join them for this FREE family friendly garden party on Princes Parade to celebrate Mickey’s 90th Birthday. Councillor Wendy Simon, Deputy Mayor of Liverpool and Cabinet member for Culture and Events, said: “Liverpool’s appeal to the cruise sector continues to grow and we’re now welcoming more vessels with a larger capacity, hence our record number of visitors this summer. Pete Murney, Liverpool’s Head of Cruise and Marine Operations, added: “It’s been a pleasure and an honour to welcome almost 60,000 passengers and crew to Liverpool so far this cruise season.